Small, lightweight, and very rugged. Guide fish out of the net! 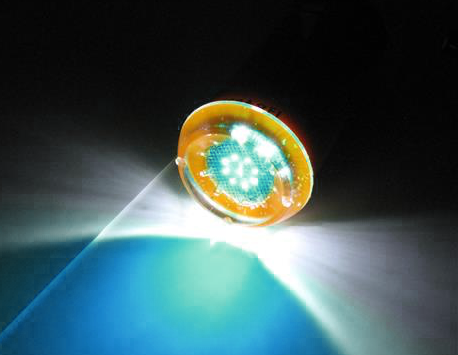 Lights for fishing have been around for a long time in all shapes and sizes and they are used for many applications, but primarily they have been used to attract fish to the boat or the net. 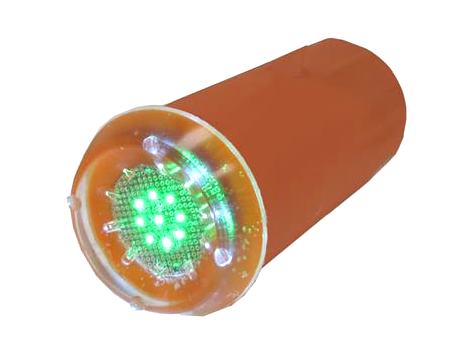 WESMAR's trawl lights are designed to guide fish OUT of the excluder to reduce by-catch. During an observation charter on a trawler in Alaskan waters, it was noted that the recapture bag with the camera lights shining on it had more salmon than the non-lit bag, leading to speculation by some that shining lights on the escape hole has value. 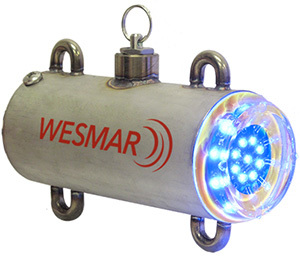 Extra size and weight on the net are a problem so the challenge for WESMAR was to build lights that are small and lightweight yet very rugged. Using this knowledge, we designed a trawl light that slips into a WESMAR stainless steel carrier. 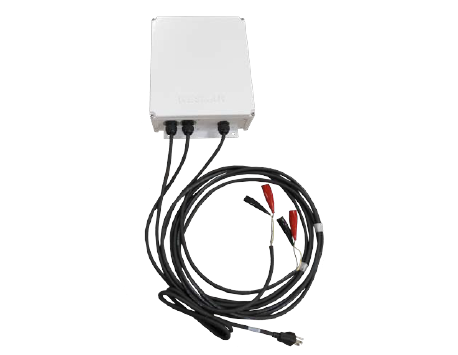 They attach to the net and are powered with a long-life battery.